Garagekeepers liability insurance protects your firm against claims that result from damage to vehicles owned by your customers. As the following example demonstrates, this coverage is important if your company repairs, services, stores, or parks other people's autos. Cliff owns the Capital Cafe, a popular restaurant located in downtown Pleasantville. Parking is limited near the restaurant so Cliff recently decided to offer valet parking. Cliff has rented a small parking lot behind the restaurant to use for parking vehicles. Cliff' has employed valets to park customers' autos when the restaurant is open. One evening Bill, a restaurant valet, is driving a Mercedes owned by a customer named Paula. Bill is trying to maneuver the Mercedes into a tight parking space when he accidentally hits the accelerator instead of the brakes. Bill smashes the Mercedes into a BMW that belongs to Steve, another customer. Both cars sustained severe fender damage. Paula and Steve are angry when they learn that their vehicles have been damaged. Both demand that Capital Cafe pays the costs to repair their vehicles. The cafe is insured under general liability and commercial auto policies. Cliff isn't sure which policy will cover the damage to his customers' vehicles so he submits the claims to both insurers. Cliff is dismayed when both deny coverage. Each insurer cites a so-called care, custody or controls exclusion. This exclusion (which is similar in both policies) precludes property damage to property in the insured's care, custody or control. 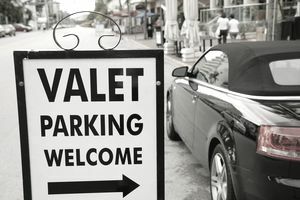 In providing valet parking, the Capital Cafe took custody of Paula's and Steve's vehicles. Thus, the property damage that occurred to those vehicles is not covered under either policy. Cliff's auto insurer informs him that the damage to Paula's and Steve's vehicles would have been covered had he purchased garagekeepers coverage. This coverage may be added to a commercial auto policy via an endorsement. It is designed for businesses that take custody of customers' vehicles in order to park, store or perform a service on them. Examples are auto repair shops, body shops, auto glass shops, oil changers and auto detailers. Comprehensive Covers damage to a customer's auto from any cause except the auto's collision with another object or the auto's overturn. Specified Causes of Loss Is an alternative to comprehensive coverage. Covers damage caused by fire, lightning, explosion, theft, mischief or vandalism. Collision Covers damage to a customer's auto caused its collision with another object or the auto's overturn. Garagekeepers coverage differs from auto physical damage coverage in that the former is a liability coverage. It covers loss for which you are liable to vehicles your company doesn't own. Auto physical damage is a type of property coverage. It covers damage to autos your business owns. Garagekeepers insurance covers damages assessed against your company in a lawsuit because of accidental loss or damage to a customer's auto (or auto equipment) left in your care for repair, service, parking or storage. Garagekeepers insurance includes Supplementary Payments (defense) coverage. If a customer sues you for damages, your insurer will defend you against the suit and pay various court costs. Garagekeepers coverage normally applies on a legal liability basis. That is, it covers loss to customers' vehicles only if you are legally liable for the damage. In the Capital Cafe scenario described above the restaurant is clearly liable for the damage to the customers' autos. This is because the damage was caused by the negligence of a restaurant employee. Customers' vehicles may be damaged while in the restaurant's custody by perils that do not result from the restaurant's negligence. For example, suppose that a thunderstorm generates large hailstones. All of the vehicles parked in the Capital Cafe's valet parking lot sustain hail damage. The restaurant is not legally liable for damage caused by a hail storm. Nevertheless, insurance for such losses is available as a coverage option. Direct garagekeepers insurance covers damage to customers' vehicles whether or not you are legally liable for the damage. Direct coverage may apply on a primary or excess basis. Direct primary coverage provides first-line coverage for damage to customers' autos in your custody regardless of your liability (or the liability of any other insured). When your direct coverage pays for loss to a customer's vehicle, the customer need not file a claim under his or her own personal auto policy. Direct primary coverage can be expensive. An alternative is excess direct coverage. Direct excess coverage applies on a secondary basis to losses for which you are not legally liable. Coverage applies excess of any collectible other insurance. For instance, if hail damage to a customer's vehicle is insured by comprehensive coverage provided by the customer's personal auto policy, the customer's comprehensive coverage will apply first. If the customer has no comprehensive coverage, your direct excess coverage will pay the loss. Note that direct excess coverage applies on a secondary basis only if you aren't legally liable for a loss. If you are legally liable for loss of a customer's auto, coverage applies on a primary basis. A limit applies to Comprehensive or Specified Causes of Loss coverage. The limit is the most the insurer will pay for loss in any one event to all customers' autos at one location. Comprehensive or Specified Causes of Loss coverage may include a deductible that applies to each customer's vehicle. It may also include a "per event" deductible (the maximum that will be deducted for all loss in one event). The collision deductible applies to each vehicle.